Experience decadent dining delights from Gerry’s Grill Group Meal Deals. Here are the feasts that will surely satisfy your epic hunger- be it just for 2, a group of 4 or a party of 8. 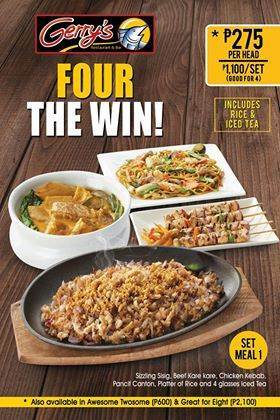 Gerry’s Grill Group Meal Deals offer a heavenly array of best Filipino cuisines perfect for huge appetites. Each plate of mouthwatering dishes gives you a satisfying fill that is definitely not a budget-buster. 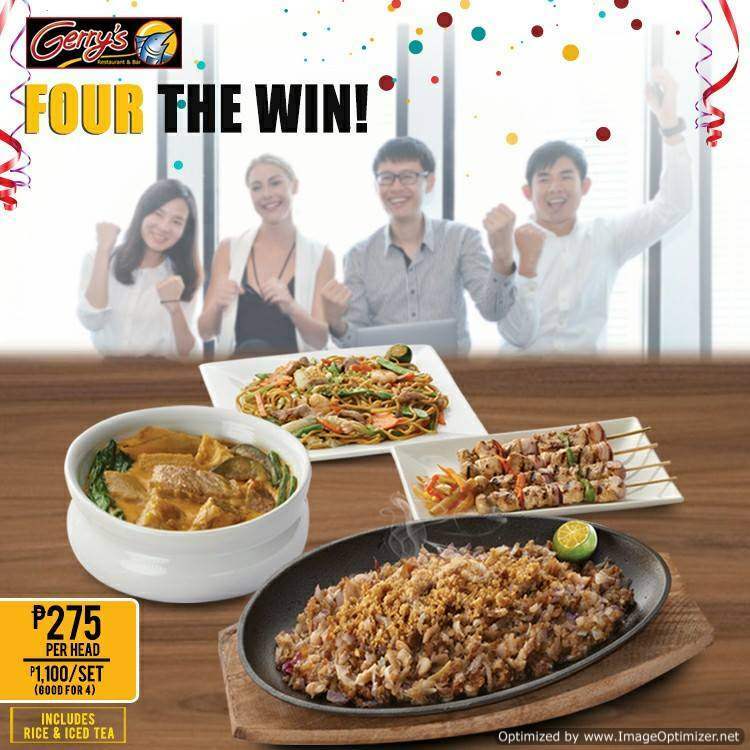 Head on to the nearest Gerry’s Grill chain and treat yourself and the whole squad to a a gourmet feast. Click HERE for the nearest Gerry’s Grill branch. You can also dial Gerry’s Grill hotline 332-1111 for delivery. For just Php1100, a group of 4 foodies can already enjoy and share these impeccable food choices. 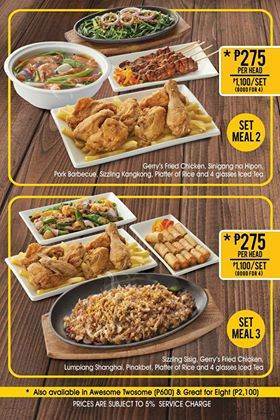 Pick from any of these awesome sets of exquisite homegrown dishes that are made more enticing with Gerry’s Grill touch. Shakey’s is also having a sumptuous and tempting meal for group of 10-12. Click HERE to check the details. The promo lets you save Php2063 and comes with FREE Supercard. Gerry’s Grill also has other meal packages for 2 heads (Awesome Twosome for only Php600) and 8 persons (Great for Eight for Php2100). The food serving sizes are adjusted accordingly depending on your selection. The prices are subject to 5% service charge. Gerry’s Restaurant and Bar, formerly Gerry’s Grill, is a group of restaurants based in the Philippines. It was opened by Gerry Apolinario on February 14, 1997 as a bar where people could hang out after work. 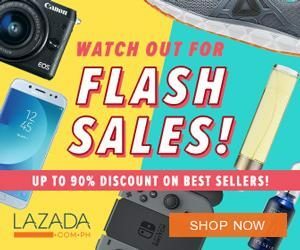 Its first branch is located in Tomas Morato, Quezon City. They started to expand internationally with two (2) branches in the US. In December 2010, they put up an outlet in Marina Bay in Singapore and in Quatar on 2012. They currently have 75 branches locally and overseas. 'gerrys grill group meal 2019' - 'gerry\s grill group meal 2018' -Enjoy!